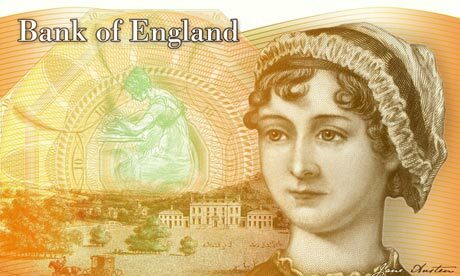 Lord Kitchener, Jane Austen and the Latvian Maiden go into a bar: does currency symbolism matter? So Lord Kitchener, Jane Austen and the Latvian Maiden go into a bar… and all of them have recently won places on their countries’ new coins or banknotes, so the chances are we’re talking about the contents of a slightly disorganised wallet rather than an encounter that would be both historically impossible and probably also somewhat embarrassing for all three figures concerned. The latest ripple of unease about how the current British government intends to commemorate the beginning of the First World War emerged when the Royal Mint revealed that its new coins for 2014 would include an £2 coin depicting Kitchener, Britain’s Secretary of State for War between 1914 and 1916. Oh, what a lovely coin? Kitchener’s picture, on a pre-conscription British recruiting poster, is probably the best-known British propaganda image from the war. It’s this picture, complete with the pointing finger and the slogan ‘Your country needs YOU’, that the Mint has chosen as the first of a series of commemorative WW1 coins to go into circulation between 2014 and 2019. Beyond the sensitivities of recalling the enthusiasm of government propaganda as the Mint’s initial commemoration of the First World War, Kitchener’s actions in an earlier conflict make him an even more troubling figure to commemorate uncritically. Under Kitchener’s command, British forces in the Second Boer War forced civilians into unhygienic camps in order to prevent them supporting Boer guerrillas. Kitchener’s camps, and the ‘reconcentration’ policy employed a few years earlier in Cuba by Spanish forces under Valeriano Weyler, remain a point of reference in the history of genocide. Writing in 1950, Hannah Arendt argued that ‘[c]oncentration camps made their first appearance during the Boer War’ before evolving into the Nazi extermination camp ‘within the framework of totalitarian terror’ (1950: 55, £), and arguments about the conceptual links between colonialism and genocide (such as this article by Vinay Lal) cannot ignore them. Taken as a whole, the Mint’s strategy of commemorating the war through multiple images may do a better job of representing the multiple, complex meanings that WW1 has to the people who will be using the coins in Britain today (yet even then could never represent them all) than its first announcement has achieved – and it hasn’t yet revealed what the other images will be – but against such a background the selection of Kitchener has brought this commemoration through currency to a difficult start. After the Bank made its announcement in late July, Criado-Perez started to receive direct threats through Twitter which attracted both media interest and police action – a level of support which, regrettably, the media and authorities do not render to most other women (especially women of colour and trans women) who have been threatened online. The third new piece of currency I want to include here seems – as far as I can tell – to have been received with much less contestation: the new Latvian euro coin, which on the side reserved for a national design revives the image of the ‘Latvian Maiden’ from the 5 lat coin minted by the first Latvian republic in 1929. National identity in interwar Latvia emphasised folk customs and the forest landscape, and the maiden (nicknamed ‘Milda’) with her traditional headdress personified an idealised and symbolic womanhood that stood for the origins of the Latvian people. Soviet authorities, after occupying Latvia, removed the coin from circulation in 1941, but part of the Latvian narrative of resistance to Soviet rule is that Latvians held on to the coins and used them as decorations and gifts, making them ‘the most popular symbol of once independent Latvia’. Independent again in 1992, the Latvian state restored Milda to its currency, placing her on the 500-lat note until 1998 and using her as the standard watermark until the time came to replace the lat with the euro in 2014. A couple of years ago, the scale of the Greek debt crisis was making the idea that the eurozone would be adding rather than shedding members by 2014 seem counter-intuitive; but here Latvia is. As Latvia made its preparations to join the single European currency last year, The Economist‘s ‘Charlemagne’ column framed the choice as ‘between Europa or Milda’ – in other words, to abandon the national symbolism of Latvia’s own currency for the vaguer, impersonal designs of euro notes. Latvia’s national bank has solved the problem by adding Milda to the euro coin instead, in the space where every eurozone member puts a national symbol of its own, be it the Maltese or Slovakian cross, an Austrian pacifist or the Spanish king. It was examples like the Latvian Maiden that made me start to notice how national identity was being represented in currency, when I first started to read about nationalism as a student. The most influential argument about currency I’ve read has been Michael Billig’s in Banal Nationalism (1995), a book about national symbols that has done a lot to shape how I think about cultural artefacts and the material world. What Billig suggests is that nationalism is at its most powerful when it goes unnoticed and becomes embedded into people’s everyday lives – and something that almost everyone has to do, day in day out, is handle money. Billig illustrates this argument with an example from Croatia, which like Latvia changed its currency in the early 1990s after separating from a larger state. Croatia’s currency became the kuna, a name that originated with the use of pine marten skins as a medieval form of exchange but had also belonged in 1941-45 to the currency of the Independent State of Croatia (NDH), an entity which had persecuted Serbs, Jews, Roma, homosexuals and political opponents under the supervision of the Axis powers. The NDH’s adoption of symbols from Croatian history has caused serious problems of representation for today’s Croatian state. Billig reads the introduction of the kuna as an attempt to embed the history of the NDH, as well as Croatian tradition and sovereignty in general, into Croatian public consciousness: ‘In this way, the tradition, including the Nazi heritage, would be neither consciously remembered, or forgotten: it would be preserved in daily life’ (p. 42). This account of Croatian intentions in designing the kuna is open to critique. Alex Bellamy in The Formation of Croatian National Identity (2003), for instance, points out that the name had also been used by the communist Partisans in WW2 Croatia in so far as they had issued ‘dinar-kuna’ notes (p. 107), and reads the naming of the kuna as a tactic supporting President Tudjman’s (still problematic) strategy of national unification (urging former Communists and former NDH supporters to forgive and be silent about the past and join together in building a sovereign Croatian state). Even before the emergence of modern nationalism, the design of coinage has always communicated something about sovereignty and authority – a practice stemming from the ruler’s mark that guaranteed the weight and composition of a coin. The shift from metal currency to paper money for the more valuable denominations, Josh Lauer suggests in a history of banknotes in the USA (£), made it all the more important for US currency to symbolise the nation: if it hardly weighs anything, why should it be worth something? The answer, Lauer thinks, is because the nation and its elected representatives agrees it is; and it’s the symbolism of the images on the paper that reassures them of that. Before the American Revolution, British colonies in North America that issued paper money already used ‘images of ships, anchors, indigenous flora and fauna, and buildings […] to invoke a sense of common identity and affiliation with local industry and commerce’ (p. 115-6); during the Revolutionary War, their symbols became warlike and patriotic. Even before 1861, when the US government began federally printing notes, the private banks that issued banknotes on a state-by-state basis often included symbols of the American Revolution and its values, though often also events from the locality’s recent history that would not go on to acquire national significance. Eric Helleiner, who gives the quote above, also points out that the French revolutionary regime replaced the Latin language on Old Regime currency with French and printed symbols of Liberty and republicanism on its first paper currency, the assignats. By the late 19th century – a decisive phase in many ways for the uptake of nationalism by states – the convention of designing currency with symbols of the nation rather than simply of the head of state was becoming a general practice, something taken for granted in the present day. 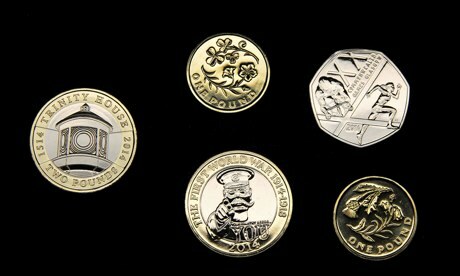 Given this intellectual background, I’d have trouble arguing that the design of currency is something that it isn’t worth researching (or, in that case, campaigning about), or what what a state’s institutions choose to depict or not depict as representations of the nation isn’t significant. But at the same time, I’m aware that the kind of scholarship I most naturally turn to is deconstructive, or as I put it during a talk I gave last year (about representations of the Balkans in a recent film), ‘picking things apart until they fall over’. At the end of the talk, a senior feminist in International Relations prodded me to reflect further on what this kind of research is for. I came back to that thought two or three months later when I started to see critical discussions of the English banknotes campaign (after all, writing a research article on currency is exactly the kind of thing that I might do). I suppose the only way I can reconcile these points of view is to say: the politics of representation are important, but they’re not enough, and it’s incumbent on me not to get in the way of the arguments about the other things, indeed to amplify them when I can. I’ve hesitated several times in planning this post, which I originally meant to write several days ago after reading about the Kitchener coin, before the aftermath of the Woman’s Hour debate overtook anything I might have been able to say. White writers in particular have to be careful about ‘derailing‘ – changing the course of an argument in a way that diverts attention from the marginalisation it was meant to be about. My argument here isn’t as simple as trying to say that the symbolism of currency is important, which feels like it would be the wrong thing at this point in time. Rather, I’m trying to think through why I still believe it is important even though I’m coming to believe that a framework that was only focused on the politics of representation wouldn’t go far enough. But then, I’m really not a disinterested party. I write and teach about nationalism, and being able to do that has helped me get the financial and intellectual security of an academic post, a job that I enjoy and which is in very short supply. In the classroom, I suppose I use illustrations like these to encourage students to think critically and analytically about more than just nationalism, to pay attention to the details of things, and to see perspectives they might not initially have thought of – and all of these are skills that have a role to play in the humanities and social sciences. Yet the challenge of seeing beyond representation still remains. Assuming one’s criticality can be a way of not admitting one’s complicity. I think complicity is a starting point. We are implicated in the worlds that we critique; being critical does not suspend any such implication. We need to keep this in mind when doing ‘deconstructive’ research. Recently, historians such as Liz Stanley have suggested that Afrikaner nationalists during the 20th century over-emphasised the level of British brutality in the camps in order to strengthen a narrative of suffering within Afrikaner national identity, though they do not dispute the level of starvation, disease and death. Here, my account of the historiography relies on Elizabeth Van Heyningen’s (paywalled) 2009 article in History Compass, particularly the discussion on pp. 27-9. I believe @WassailingGirl, on Twitter, came up with this first, but please correct me if I’ve miscredited it. I’m conscious that this paragraph is summarising six months and thousands of words from many people, of which I can only have read a fragment. I hope the account I’ve given here does enough to outline it for readers who haven’t been part of these discussions. There’s a wider structural context here of unequal access to the mainstream media for feminists who are white and middle-class on one hand, and those who are speaking from more marginalised positions on the other, which has been reflected in another painful controversy that emerged from the Women’s Hour debate over what came across as an inappropriate attempt by white feminists to ‘reclaim’ intersectionality, a concept developed by and for black women (Kimberlé Crenshaw building on the work of the Combahee River Collective) in the 1970s and 1980s.